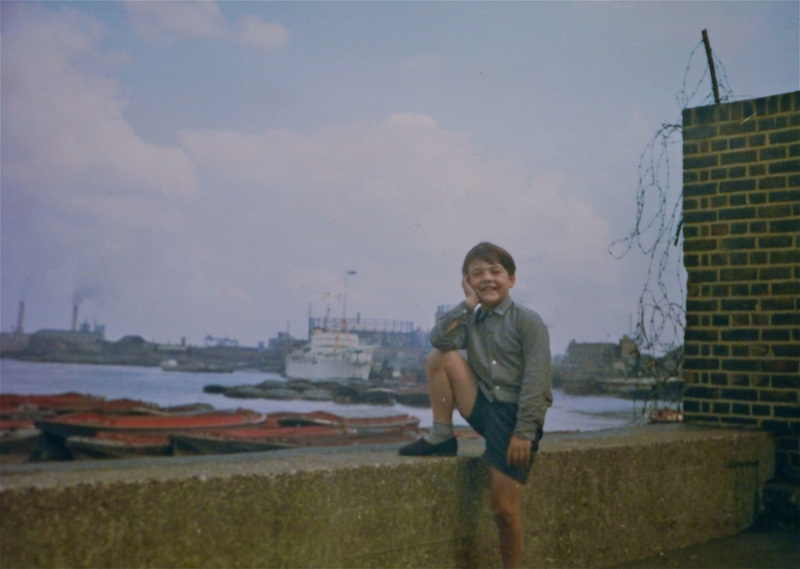 Former local resident, Sean McCauley, reminisces about growing up in a house on Union Wharf, a few steps from the river and the Cutty Sark Tavern. 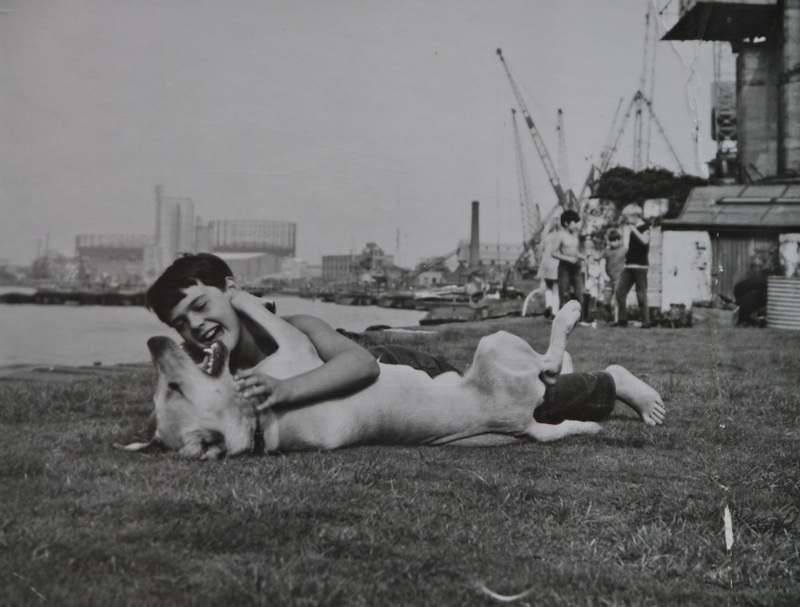 He recalls his childhood, his mates and the adventures they had in the industrial landscape that was their playground. He reminisces about school and work which led to a long career in the Fire Service and even now in 'retirement' he works as a Fire Officer in the Houses of Parliament. The McCauley's house from the river, immediately to the right of the gap in the terrace, with The Cutty Sark and Robinson's to the right. 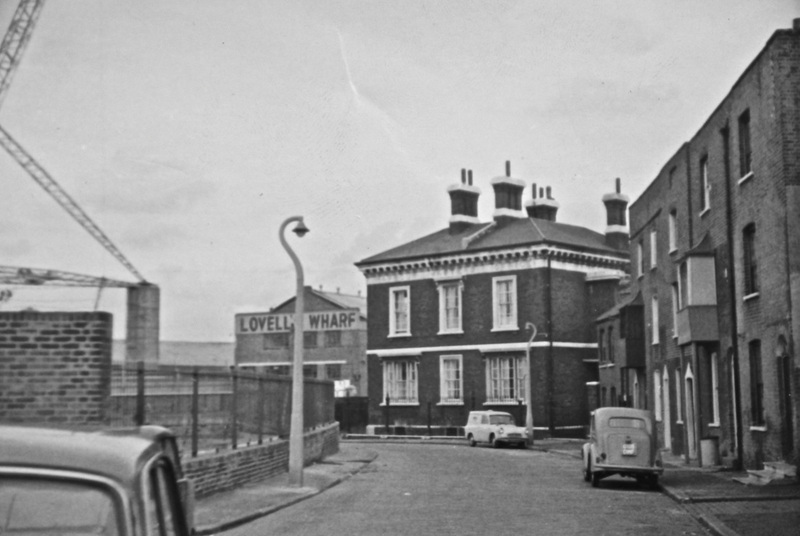 Ballast Quay as it was in the mid-1960s. Union Wharf has been cleared in readiness for the planting of the garden and the new railings are in place. 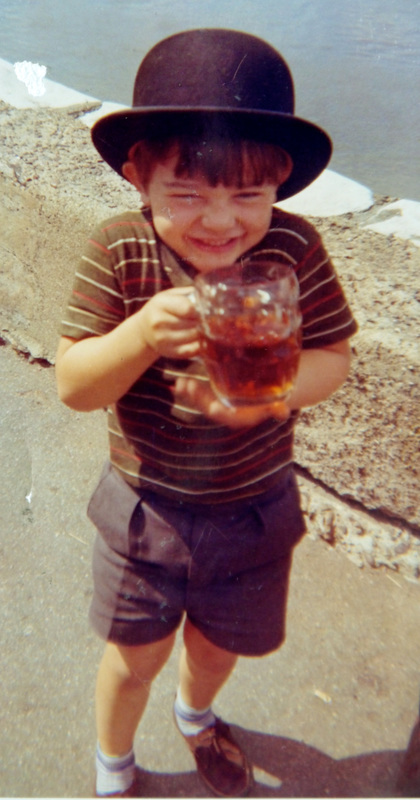 ​Sean, following his Dad's example, nursing a pint outside the Cutty Sark. 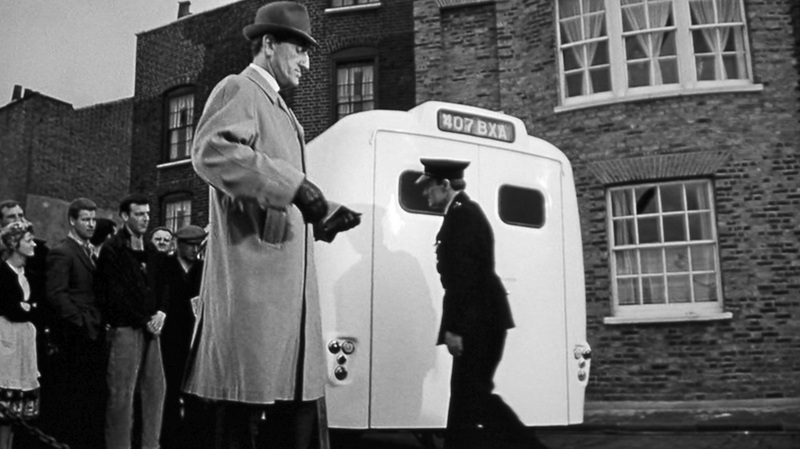 Filming 'The List of Adrian Messenger' on Ballast Quay in 1963. Sean's house is in the background on the left, behind the ambulance and the crowd of extras. Sean posing on the river wall opposite the house where he lived. 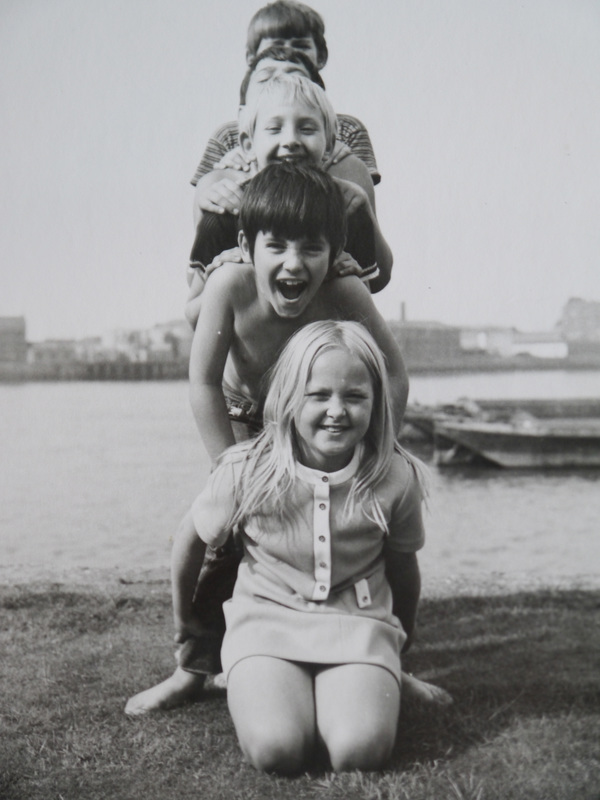 Above: one of the photographs of Sean and his mates in the Union Wharf garden taken by the photographer mentioned in his memoir. Sean (almost hidden) and mates Michelle, Micky Robins, Michael and Denny Hall (standing at the back) all pose for the photographer in the Union Wharf garden.